This week we start to look at composition in bird photos. But if composition is the arrangement of elements in the photo, how do you arrange birds and scenery? Sure, you can’t tell the birds how and where to pose, but you still have a surprising number of tools you can use to create engaging compositions in the field. 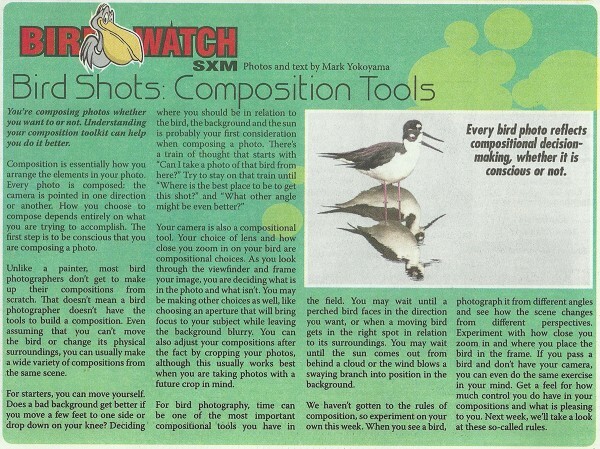 Read about some of them in this week’s Bird Watch SXM column!